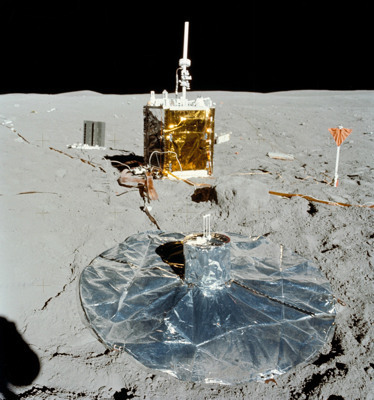 Real time environmental data from sensors are required at different spatial and temporal scales in order to substantially improve our understanding of ocean processes and processes on the Moon. Sensor and sensor networks are expected to monitor and address a wide range of environments and they may be deployed on arrange of ocean and space platforms. Therefore robust, reliable and portable sensor and sampling systems are needed for stationary (e.g. lander and observatories) and mobile (e.g. towed systems, ROV, AUV, HROV and crawler) applications. The targeted environments are mostly characterized by dynamic interactions of chemical, biological and physical processes. These processes become severely modified through sampling and recovery, and the final analyses of the samples are unable to reflect the real conditions. Thus, in situ investigations are the only way to get better insights into biogeochemical and geological functioning of extreme environments. The major goal of this topic is to provide the technological environment for instrument systems, such as sensors, sampling tools, reaction compartments, actuators, positioning- and imaging systems. Comparable to a construction kit the different modules can be combined and configured freely allowing the scientist to design the sensor and sampling system or experimental set ups according to the scientific requirements. Controlling units to which these modules will be connected allow for recognition, integration and communication of the different modules. These controlling units will further serve as interface between the modules and allow for synchronized data recording and event control. The instrument systems can be either stationary for instance implemented into observatories or mounted onto mobile vehicles such as crawler, ROV and AUV. Via docking units the instrument systems can be connected to other instrument systems or will allow communication between instrument systems and other system components, e.g. 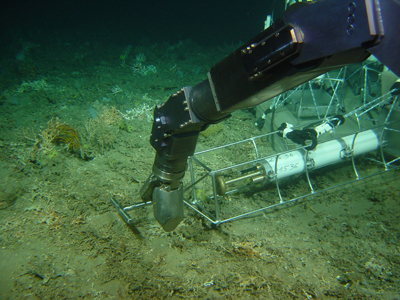 ROV, oceanographic measurement platforms. There will be a focus on miniaturization of the different modules. The research aims to extend the list of biogeochemical sensor systems for routine measurements which can deliver repeated synoptic measurements in space and time. In Topic 4000 the work packages Instrument Integration (WP 4100), Integrated Sensor Systems (WP 4200) and Sampling Tools (WP 4300) will be processed.